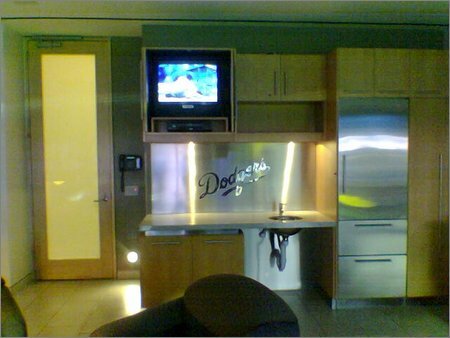 Last night Lori and I hung out in some unfathomably expensive luxury suites at Dodger Stadium. All-you-can-eat Dodger Dogs and a visit by Tommy Lasorda. That sounds like heaven. How was Tommy Lasorda?